Sounds like Drawing presents the work of nine contemporary international artists whose work exists on the trajectory between sound and drawing. With the American artist Tom Marioni's seminal photograph and performance One Second Sculpture (1969) as its starting point, this exhibition sets into motion a possible set of alignments or tensions between the conceptual task of approaching drawing and that of approaching sound. While considering the properties and language of drawing, these artists invoke the presence of sound and, like Marioni’s photograph, its relationship to drawing by becoming a mental sketch, an approximation, existing only in the imagination. The exhibition features two commissioned new works. Conor Kelly, an artist and composer based in London, explores the accidental pictograms created by vibrations, waves, resonances and harmonics. Although consisting of films of musical string instruments on several monitors, the work is musically elusive, instead foregrounding the physical vibrations and aural textures of abstract resonant frequencies. Los Angeles artist Steve Roden uses the pages of an old ‘London A-Z’ guide as the basis for an outdoor sound installation. For these new works, the first 100 pages of the A-Z becomes a manual for 100 tunings on a sruti box, as well as a score for visual mark making; thus translating the original information into a series of visual and audio spaces for quiet wandering. In the new drawing and sound work by American artist Beth Campbell, imaginary scenarios are transcribed into tree-like branches of decisions and their differing consequences, accompanied by multi-channel recordings of anecdotes simultaneously played back to form a cacophonous cluster of diverging life-stories. American artist Joseph Grigely’s written phrases on small pieces of paper and post-it-notes are replacements for sound and are born out of his attempts, as a deaf artist, at communicating and at being communicated with. His grid of coloured paper makes up fractured bits of conversations shared with others in everyday situations and removes sound from the act of listening. The London-based sound artist Kaffe Matthews presents a symphony for radios and bicycles. Replacing notes written on a musical staff are drawings on a neighbourhood map: providing various itineraries for visitors to follow on bikes, the artist broadcasts an electronic composition over a live radio signal. Cycling around the streets with radios receiving the broadcast, participants become performers and passers-by become accidental audience members. Also working between drawing and performance is Robin Rhode, a South African artist based in Berlin who uses wall drawing to create props and contexts for live performances. For Drawing Room, inspired by the provisional and sketch-like nature of the act of drawing, Rhode chooses not to perform but to rehearse. Executed prior to the exhibition’s opening, his wall drawing is the remains of an invisible performance, documented on Super-8 film, where the artist silently mimes and draws the gestures of a speaker or singer in front of a microphone. New York-based artist Terry Nauheim’s video work features a hand quietly drawing lines and shapes on her fogged-up car window, while the reflected telephone cables in the distant background serve as a removed musical staff, giving the artist’s abstract marks the semblance of a score written for three dimensions. The interactive wall piece by German artist Carsten Nicolai asks viewers to draw in the blanks of an abstract visual score, forming an open-ended representation of the 0’s and 1’s of digital compositional choices. Sounds Like Drawing considers the properties of drawing alongside those of sound, and the places where the two might meet, accentuate or erase, contradict or enrich each other. This exhibition is curated by Anthony Huberman, Curator at SculptureCenter, New York. Beth Campbell’s work has been included in several major survey exhibitions of new art such as Greater New York at P.S.1 Contemporary Art Center, 2000 or Open House: Working in Brooklyn at the Brooklyn Museum of Art, 2004. She has had one-person exhibitions at Nicole Klagsbrun Gallery in New York, as well as a Statement in the Art Basel Art Fair in Miami. Her works have been acquired by Whitney Museum of American Art, among other collections. Joseph Grigeley is an internationally-renowned artist, whose work has been presented in one-person exhibitions at: Orange Country Museum of Art, Los Angeles (2005); Yerba Buena Center for the Arts, San Francisco, 2004; Whitney Museum of American Art, New York, 2001; Barbican, London,1998; Center for Contemporary Art, Kitakyushu, Japan,1998 and Musée d’Art Moderne de la Ville, Paris,1996. Recent group exhibitions include: Venice Biennale (2003 and 1995); Kunstmuseum Bern (2002 and 2000); Haus der Kunst, Munich, 2002; Berlin Biennale, 2001; Fundacion Juan Miro, Barcelona, 2001; Centre Georges Pompidou, Paris, 2001; Yokohama Triennial, 2001; MoCA, Chicago, 2001; Whitney Biennial, New York, 2000 and Istanbul Biennial,1997. Although primarily known for his use of sound, Kelly has increasingly involved film and video in his work. He has also shown work at: CCA, Glasgow; Cornerhouse, Manchester; Ffoto Gallery, Cardiff; On Gallery, Poznan; La Friche Belle De Mai, Marseilles and Frunde Gutter Music, Berlin. He has collaborated with many artists and film makers as a composer and sound artist, with work presented at: Venice Biennale; Toronto Festival Of Moving Image; Tate Britain; London Film Festival as well as BBC Radio 3. He has composed for theatre and contemporary dance, including: Royal Shakespeare Company, London; The Royal Court Theatre, London; Lyric Theatre, London; Abbey Theatre, Dublin and Purcell Rooms, London. Recent solo exhibitions include Peer and Fordham Gallery, London in 2004. The solo recordings are all edited live performances of Matthews' unique improvisations based around a live sampling technique she has developed using the space and sounds of the performance and venue. She has a regular slot on Resonance fm and most recent performances in the UK include: The Sound of Heaven and Earth, Tate Online Project; BITE: 05, with the Merce Cunningham Dance Company, Barbican, in 2005 and a forthcoming group exhibition Her Noise at the South London Gallery, 10 Nov – 18 Dec 2005. 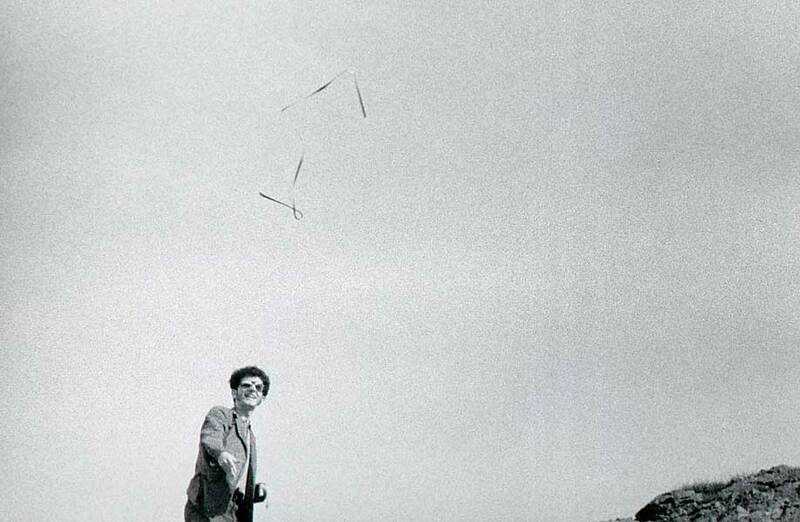 Tom Marioni is a seminal figure of the American conceptual art movement. He pioneered the use of social situations as art and explored performance as sculptural actions, using sound, drawing photography and installation. He has lived in San Francisco since 1959 and has exhibited nationally and internationally since 1963. He founded the Museum of Conceptual Art (MOCA) 1970-1984, was Editor and Designer of Vision Magazine, 1975 and founded the Society of Independent Artists in 2000. Most recent exhibitions include a one-person show at the Yerba Buena Center for the Arts, San Francisco, 2004. Terry Nauheim is a visual artist and digital arts instructor in New York. Her drawings and installations have been shown in: Treble, Sculpture Center, New York, 2004; Bronx Museum of the Arts, New York, 2002; Museum of Contemporary Art, Lyon, 2001 and the Contemporary Museum, Baltimore, 2001. She is currently completing a multi-channel sound work as an Artist in Residence at Harvestworks in New York. Carsten Nicolai has performed and created installations in many of the world's most prestigious spaces including: Guggenheim, New York; MOMA, San Francisco; MOMA, Oxford and NTT, Tokyo. His most recent one-person shows include: Schirn Kunsthalle, Frankfurt; New National Gallery, Berlin; Cut and Splice, BBC Radio and the 51st Venice Biennale, 2005. Robin Rhode, a South African artist based in Berlin who uses wall drawing to create props and contexts for live performances. For THE DRAWING ROOM, inspired by the provisional and sketch-like nature of the act of drawing, Rhode chooses not to perform but to rehearse. Executed prior to the exhibition’s opening, his wall drawing is the remains of an invisible performance, documented on Super-8 film, where the artist silently mimes and draws the gestures of a dance with bottles. Steve Roden has been exhibiting his visual and sound works since 1986. He has had numerous solo and group exhibitions. Recent shows include: San Francisco Art Institute, CA; Stadt Galerie Museum, Saarbrucken, Germany; MOCA, San Diego; UCLA Armand Hammer Museum, MAK Center, Los Angeles; The Drawing Center, New York and Treble, The Sculpture Center, NY. Roden will be performing at the Serpentine Gallery, 23 September 2005. He is represented by Susanne Vielmetter Gallery, Los Angeles.